SAN FRANCISCO, California, December 3, 2009 (ENS) – The Ninth Circuit Court of Appeals today ordered that a preliminary injunction be granted to tribal plaintiffs that halts the expansion of the Cortez gold mine in Nevada owned by Barrick Gold Corporation, a Canadian company based in Toronto. The ruling reverses the decision of the U.S. District Court in Nevada, which had denied the motion for preliminary injunction filed by the South Fork Band Council of Western Shoshone, the Te-Moak Tribe of Western Shoshone Indians, the Timbisha Shoshone Tribe, the Western Shoshone Defense Project, and Great Basin Resource Watch in November 2008. 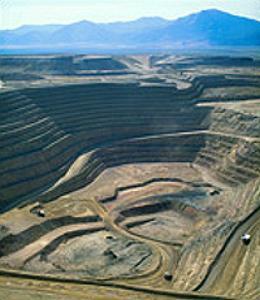 The plaintiffs challenged the U.S. Bureau of Land Management’s approval of the Cortez Hills mine expansion in November 2008. Today the appellate court ruled that the tribes are likely to succeed on the merits on their claims that the BLM violated the National Environmental Policy Act in failing to properly analyze the environmental impacts from the mine on groundwater, air quality, and other natural resources. “Suspending a project until that consideration has occurred thus comports with the public interest,” the court ruled. “Essentially the tribes were right on a big part of the case,” said Flynn. But the tribes did not persuade the court that they were in the right on all of their claims. Cortez Hills is an expansion of Barrick’s Cortez Mine, which has produced gold continuously since the late 1960s at its location 60 miles southwest of Elko, Nevada in Lander County. 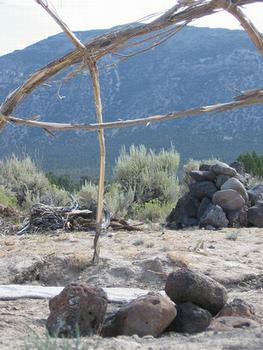 The expansion threatens Mount Tenabo, an important sacred mountain for the Western Shoshone people. While the court granted the preliminary injunction, which halts mine construction until the case has been decided, the court did not side with the tribes on their claims under the Federal Land Policy and Management Act, FLPMA, that the mine would prevent access to their sacred sites on Mount Tenabo and thus would establish a substantial burden on the exercise of their religion. “Tribes have not satisfied their burden of showing a likelihood of success on the merits of their FLPMA claims,” the appellate court ruled. Barrick Gold proposes to dig a new 850-acre mine pit; add facilities for cyanide heap-leach processing; add areas for disposal of approximately 1.5 billion tons of waste rock; upgrade its mine dewatering systems to remove surface and ground water that would otherwise fill the mines; and build and operate a 12-mile long ore-hauling conveyor system. The project as originally proposed would have disturbed 6,792 acres within the 57,058-acre project boundary. Of the disturbed acreage, 6,571 acres were public land and 221 acres were private land belonging to the Cortez Hills mine. The tribes claimed that the BLM violated the National Environmental Policy Act, NEPA, by failing to analyze the air quality impacts of the transportation of ore to an off-site processing facility. In its environmental impact statement for the mine expansion, BLM estimates that five million tons of ore would be available for extraction. Plans are to transport the ore 70 miles to the Goldstrike facility for processing, in two shipments per day, every day, for 10 years. The transport of the ore, the tribes allege, will negatively impact air quality, and the processing would result in the release of mercury, a hazardous air pollutant. The BLM now maintains that these environmental impacts need not be discussed in the environmental impact statement, because no increase in the rate of toxic ore shipments is proposed, and the off-site facility is permitted under the Clean Air Act. The tribes also contend the BLM failed to conduct an appropriate mitigation analysis with respect to the environmental consequences of mine dewatering. “Though NEPA, of course, does not require that these harms actually be mitigated, it does require that an EIS discuss mitigation measures, with ‘sufficient detail to ensure that environmental consequences have been fairly evaluated,'” the court noted. The case is already back in federal district court in Nevada. Flynn filed the first brief of the main part of the case with the judge in Reno on Tuesday. Barrick and the BLM’s response brief is due in January and Flynn’s reply is due in February.